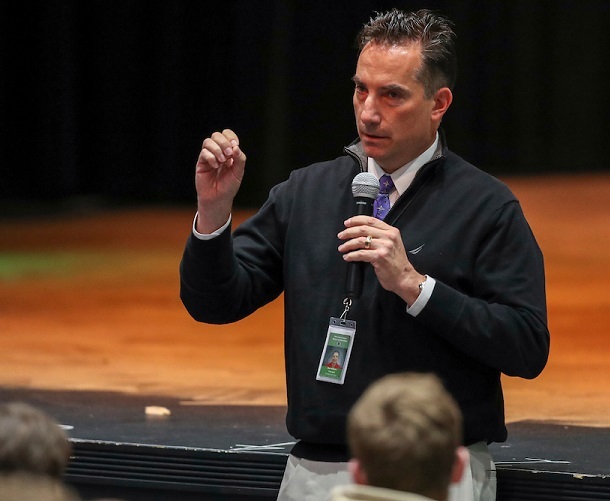 It’s that time of year and Bridgeport High School Principal Matt DeMotto has a message for the community and students of the school he leads. And that message is regarding Friday’s Class AA high school football playoff game at Wayne Jamison Field. On Friday, the Indians will battle Frankfort in the first round of the 2018 postseason. As has been the case in the past, things will be a bit different for the game as opposed to the regular season contests. All tickets – students, youth, adults, and seniors – for Friday’s games if purchased at the gate will be $7. Students, however, can save money by buying a reduced priced ticket Wednesday, Thursday and Friday during lunch at the high school. The cost of those tickets for students will be $5. There is also another opportunity to acquire tickets prior to the contest. Those tickets can be purchased from 6 p.m. to 7 p.m. Thursday in the Bridgeport High School cafeteria. “What that allows is for any adult who doesn’t want to deal with the possibility of waiting in line they can get their ticket early,” said DeMotto. DeMotto added that those adults purchasing tickets early need to enter at a specific area. They will enter through the gated area between the concession stand and the new Johnson Elementary School. It should also be noted that parking will be on a first come, first serve basis. Season parking passes will not be honored, and it has nothing to do with the school. The winner of Friday’s game between No. 3 Bridgeport and No. 14 Frankfort will face the winner of No. 6 Robert C. Byrd and No. 11 Shady Spring.